Many have tried to knock Spotify from its throne as king of the streaming music services, but no one's come close yet. Whether you're a premium user or you're willing to put up with a few ads, it offers a slick and straightforward way of accessing millions of songs with a few taps of the finger or clicks of the mouse. 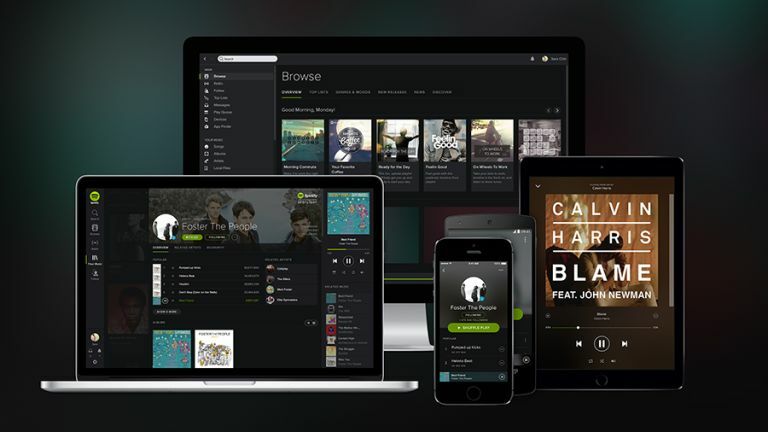 Are you getting the most out of your Spotify apps, though? Here are 10 of the platform's features that you might not know about. If you have the Spotify app for iOS or Android installed then you can remotely control playback in the Spotify app for Windows or Mac. The feature is called Spotify Connect and it works like magic: just get both desktop and mobile apps running, and you can tap the volume icon to choose where your music is piped to. You might well have some old iTunes playlists knocking around from the time before you saw the light and switched to Spotify. If that's the case, you can use the excellent Soundiiz Beta to transfer your lists of tunes from one service to another. It actually works with a broad range of apps and platforms, not just Spotify and iTunes: Rdio, Tidal, Deezer, SoundCloud, Napster, YouTube and Xbox Music are all supported. The Spotify search box is more intelligent than you might have realised - try entering "genre:rock" after a band name to limit the results to that particular genre. You can also use the "year:1980-1989" operator, replacing the year boundaries with a different decade if you're not a huge fan of 80s tunes. With so many millions of tracks in the Spotify database it can be helpful to find ways to narrow down your results. You have a public Spotify profile at https://open.spotify.com/user/ that's also available inside the apps. It shows your most regularly played tracks as well as any playlists you've made public - other Spotify users can then subscribe to public playlists that they like. Inside Spotify, right-click on a playlist and choose Make Public to show off your music taste to the world (or choose Make Secret to keep it hidden). Accidentally wiped one of your favourite playlists from Spotify? Don't worry, the app has you covered - head to spotify.com/us/account/recover-playlists, sign into your Spotify account, and you should see a list of playlists you've recently deleted from the app, together with the number of songs in each one. Click Restore next to any you want to bring back. One of the newest Spotify features (though only available in the iOS app right now) is Touch Preview. If you tap and hold on a playlist, song, album or artist, you can get a quick preview of a tune without actually adding it to your queue. Keep moving your finger to preview other tracks and lift it up to stop the music. It's a handy way of browsing for something new to listen to. Did you know Spotify has a browser app? If you're away from home or using a friend's computer you can head to play.spotify.com to keep the music going - all of your playlists and favourites are carried over, and it can also be useful in places where you can't install your own apps (like the office). It doesn't work with Spotify Connect (see tip 1) at the moment though unfortunately. If you're a premium user, you can increase the quality of the music streamed to or saved on your devices - in the desktop apps there's a high quality streaming toggle switch in the settings, while on mobile you can choose between normal, high and extreme quality. If you're going to switch to extreme quality, it's a good idea to cache songs in advance over Wi-Fi, to save the strain on your phone's data connection. One for the karaoke lovers: Spotify comes with an integrated lyrics pane that's powered with data from MusixMatch. Click the Lyrics button down near the playback controls in the desktop app to bring them up - toggle the Full lyrics button to on if you want to see a full screen of words rather than just the current line. The Settings button lets you change the size of the text and hide the background image. If you're a premium user you can save playlists for offline listening on mobile devices, but it's also worth caching a few albums and tracks on desktop too. It means you can carry on listening if you lose your internet connection (your train goes through a tunnel perhaps) and it also means you can free up bandwidth for other streaming and download tasks.